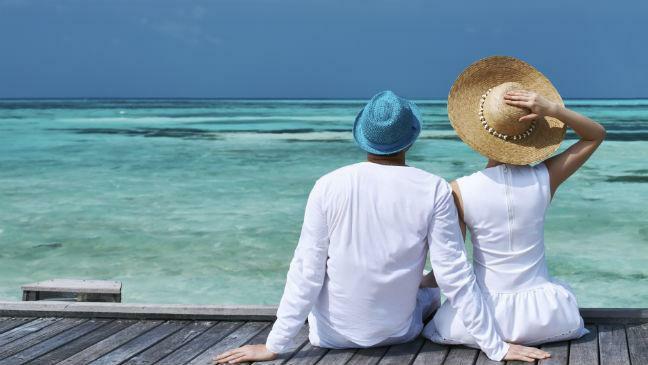 Medical research has shown why holidays are good for the health and reduce the risk of heart diseases. A test confirmed this fact and workers are advised to take their holiday entitlements to reap significant benefits for their health. When booking a flight, you should delete your browser history. Prices of flights increase according to the number of times the site has been visited for bookings. Deleting the browser history after every visit to the site, will block the possibility of having to pay more for a flight to go on vacation. Also, certain days are better for flight booking, and the flights may be a lot cheaper. Tuesdays particularly is a good day for booking flights, and the flights are cheaper on that day. It is also common knowledge that booking flights months before the trip can drastically reduce the price of the flight ticket. A traveler should book for flights at least 50 days before the journey. Another trick that may get you a cheaper flight is booking night flights. Night flights are always cheaper while flights in the morning tend to be more expensive. Always book flights with the schedule of 6 pm to 12 am and it is guaranteed to save a traveler a lot of money when planning a holiday. Indirect flights can also be a great way of saving money for a trip. Indirect flights are cheaper but may be stressful to have to board a plane several times before getting to the location. However, looking at the bright side, it is good exercise and can help a traveler to have an opportunity to visit a new environment briefly. When planning a trip, it is advisable to do a thorough research to find good hotels at low prices. Unlike flight booking, hotel booking does not become cheaper when it is done earlier than the time of the trip. In fact, some countries do not allow advance booking over two weeks. However, it is wiser to book at the earliest time possible as it reduces the risk of having to book at the last minute and spending more money. Also, booking city hotels on Sunday nights can save some money, and if the traveler checks in late when all standard rooms are occupied, the hotel may consider giving them a more luxurious room. Also, searching for a new hotel in the area of travel may save you some cash. New hotels often give a 50% discount to encourage patronage. Booking a room in such a hotel will save a few pounds for the traveler. Never travel during popular holidays such as Christmas, or the beginning of summer vacation because the prices of booking both flights and hotels will increase. If an individual still intends to travel during these periods, they should wait for a few days after the holiday begins and the prices would have reduced substantially. When planning a vacation, the exchange rates, and some expenses on essential items during the holiday should be considered especially if the individual intends to travel to another country. By booking flights early, searching for good and cheap hotels, comparing websites, and traveling at a good time, it will be easier to experience a cheaper holiday in 2017. ← What to do when looking for a visa for Dubai?